Wine is an Open Source implementation of the Windows API on top of X and Unix. 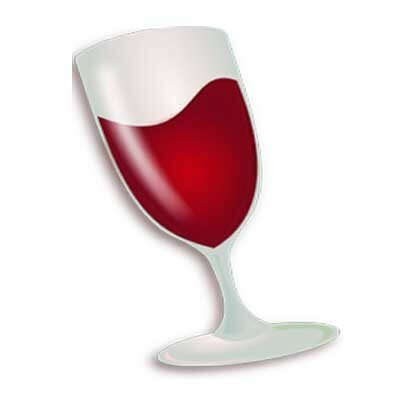 Wine provides both a development toolkit for porting Windows sources to Unix and a program loader, allowing many unmodified Windows binaries to run on x86-based Unixes. The name Wine initially was an acronym for WINdows Emulator. Its meaning later shifted to the recursive backronym, Wine Is Not an Emulator in order to differentiate the software from other emulators. Wine is a compatibility layer. It duplicates functions of Windows by providing alternative implementations of the DLLs that Windows programs call, and a process to substitute for the Windows NT kernel. This method of duplication differs from other methods that might also be considered emulation, where Windows programs run in a virtual machine. Wine is predominantly written using black-box testing reverse-engineering, to avoid copyright issues.